The world of digital transformation can be confusing. Smart Industry is here to help. Here find our library of resources to equip yourself to take advantage of the new world of digital manufacturing. We're we’re still early in this process—there is much to learn. Discover what thought-leaders have to say about the immediate future of digital transformation. The real rewards of digital transformation are reaped when these disparate elements are connected into a network. When we connect all of our assets, we connect ourselves to potential bad guys, hackers lurking in the spaces between our machines and lingering around the cloud, waiting to steal our data. Find case studies of digital-manufacturing leaders forging a path toward success. Follow them! Machines are adopting greater ownership of their actions as manufacturing undergoes digital transformation. The edge in the industrial-manufacturing space might more aptly be considered a ramp. Knowledge is power only when you do something with it. Explore how prescriptive maintenance (or RxM) can help enhance asset management at your plant. Where do you fit in? Benchmark your efforts and steal some insights from those reaping real rewards. The partnership between data and machines is less a strange new concept than it is the bedrock for business. Manufacturers are mapping their digital strategies around the marriage of IT and OT. We solicited predictions from some of the brightest minds on some of the hottest topics in Industry 4.0. Join us as we peer into the future. Industrial cybersecurity is simultaneously much more important and much more difficult to maintain. Enterprises that balance an intelligent approach to manufacturing with a hardy defense strategy—brains & brawn—will capitalize on while thwarting nefarious characters. Edge devices are becoming smarter, smaller, and more capable of performing tasks that enable field workers to operate in ways we could not have dreamed of just a few years ago. This is a terrific development for those businesses—and their employees—with the ability to confidently push the limits of what can be accomplished at the edge. It’s tough to predict the future. This is particularly true in the world of digital transformation, which is still in its infancy—or its toddler stage for early adopters—and the rules and tools at play seem to be in constant flux. But there are hugely successful enterprises in this space, and it benefits all of us to learn from their recent pasts and rely on their predictions of what’s to come in Industry 4.0 and beyond. The dream is that remote workstations, plants, wells, windmills and machinery never break down, never need servicing, never require replacement parts. The reality is that—even as these elements grow smarter every day—there will always be demand for the mobile worker…the guy or gal who goes out to the asset and services it. Mobile workers need all the help that modern technology can offer them. At the heart of digital transformation is the concept of IT/OT convergence. IT and OT are not traditional bedfellows, but then this whole approach to manufacturing is a break from tradition. It’s called a transformation, after all. Big data analytics. IT/OT convergence. Smart machines that speak to one another. The Industrial Internet of Things is comprised of many parts--interconnected, for sure, but disparate in function and application. As such, proper platforms are necessary to fully adopt the IIoT (and to fully reap the rewards therein). It’s common knowledge that in order for your business to thrive in the modern industrial era, you must adopt elements of the Industrial Internet of Things. But equally common is a lack of understanding about getting started. Opportunities abound with digital transformation, but figuring out the how and when and where and “Who is going to pay for all of this?” can be tricky. Machines have long produced reams of data about their performance. But only in the recent years of our digital transformation have we had the capacity to digest and fully understand this information and, via advanced analytics, make informed decisions to optimize operations across industry. Communication is at the heart of this phenomenon we call digital transformation. Our new Technology Report explores topics such as fiberoptics in manufacturing, PC architecture and the IIoT benefits of a common language. 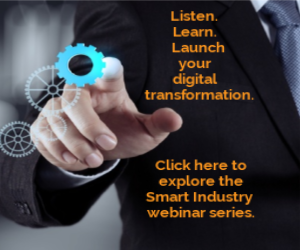 While the Industrial Internet of Things has been a buzzworthy phrase for the past few years, many in the industrial and manufacturing arenas still lack a deep knowledge of the foundations of digital transformation. This collection will help correct that. Here find a library of required reading on the IIoT, exploring the origins of this revolution, digging deep into the various components and applications, and providing you the tools you need to take advantage of this unprecedented opportunity.